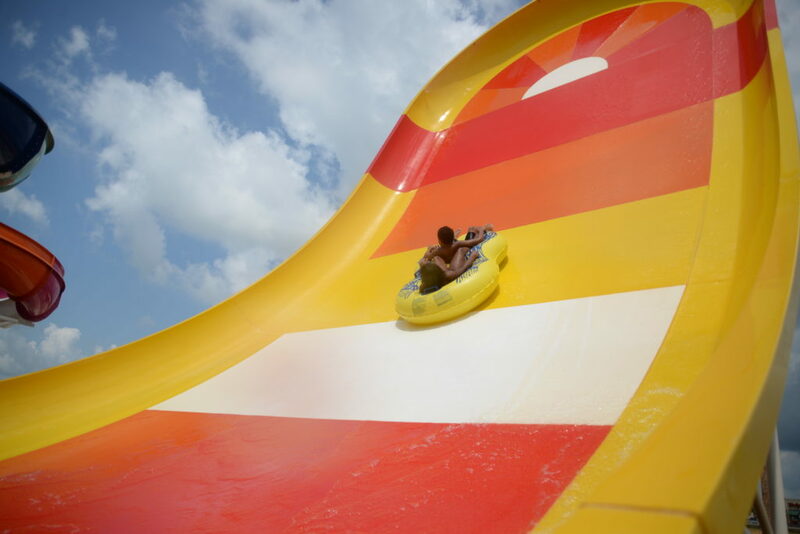 Race again and again on this 3-lane water slide for head-to-head competition with friends. Watch out! The gut wrenching bump may catch you off guard but is just the thing you need to propel you to the very end. 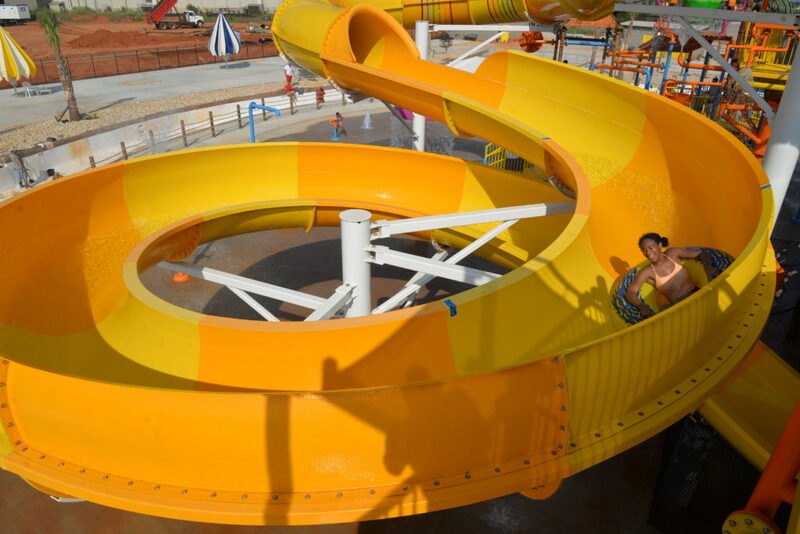 Grab a tube and a friend for an experience that combines extreme thrills, speed and H2O. Try not to wipe out as you take a steep drop only to propel up a near-vertical wall, traveling nearly 20 miles per hour, for a moment of weightlessness. Hold on tight, this slide is the ultimate! 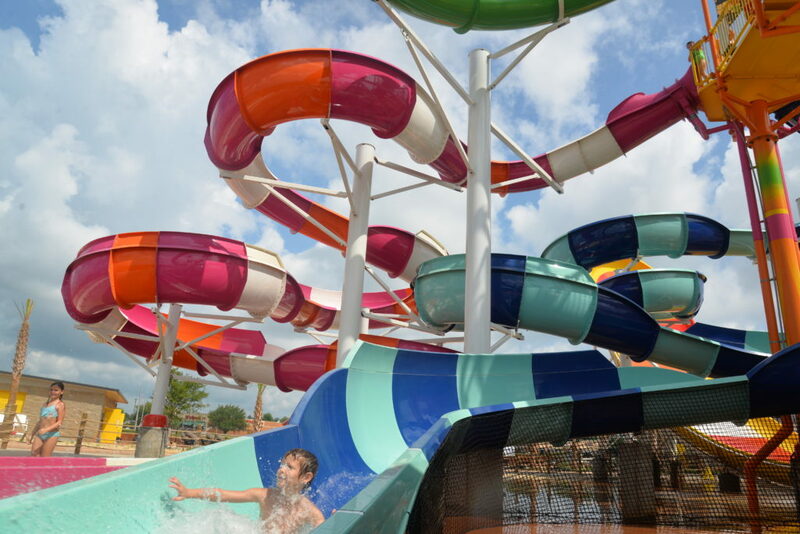 The four twists and turns of this enclosed slide will get your heart thumping. You will reach speeds of more than 13 miles per hour, ending in a giant full twist. 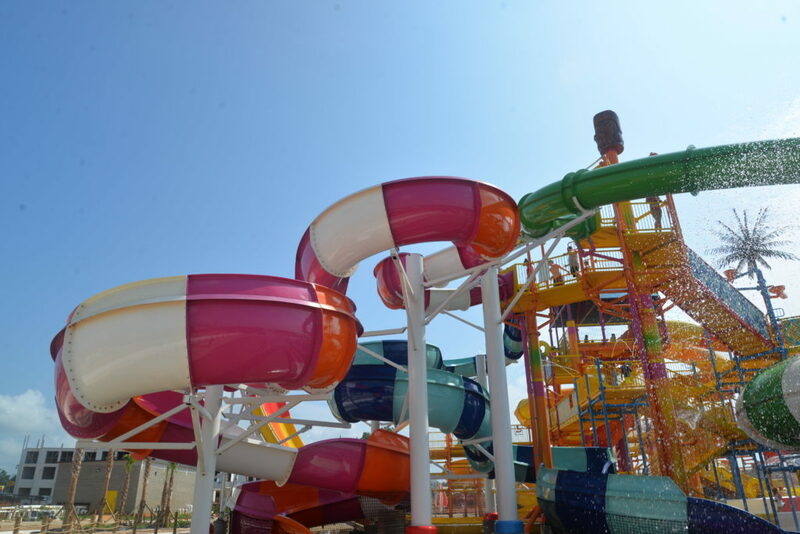 Get your swirl on as you travel at high speeds, through an enclosed slide and are launched into a giant whirlpool bowl. 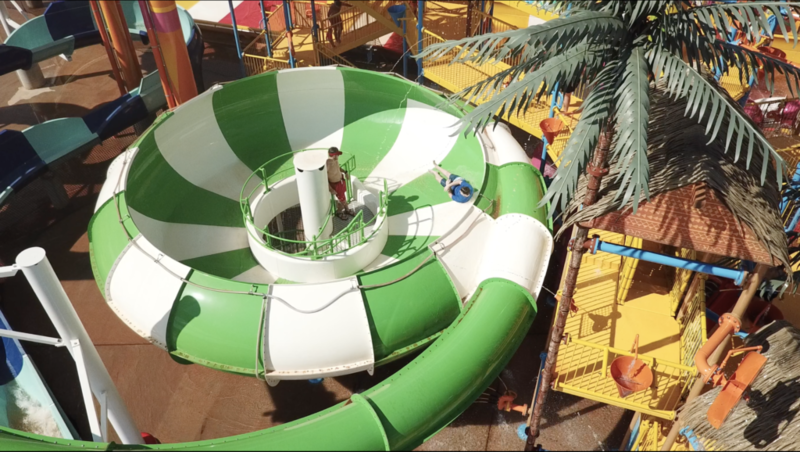 From there, the centrifugal force keeps you hugging the side as you wind around the bowl before sliding and splashing to the end. Take the path of a speeding parrot, circling the shore below. You will dip toward the earth sliding almost 23 miles per hour in a series of epic turns. 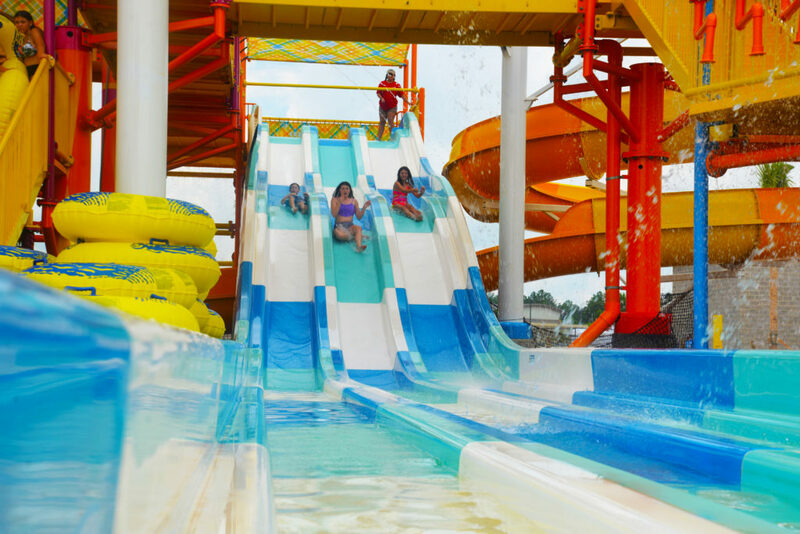 This triple turn 35-foot long slide mimics the flight pattern of an ocean pelican; dropping fast and flying freely before landing in the water below.